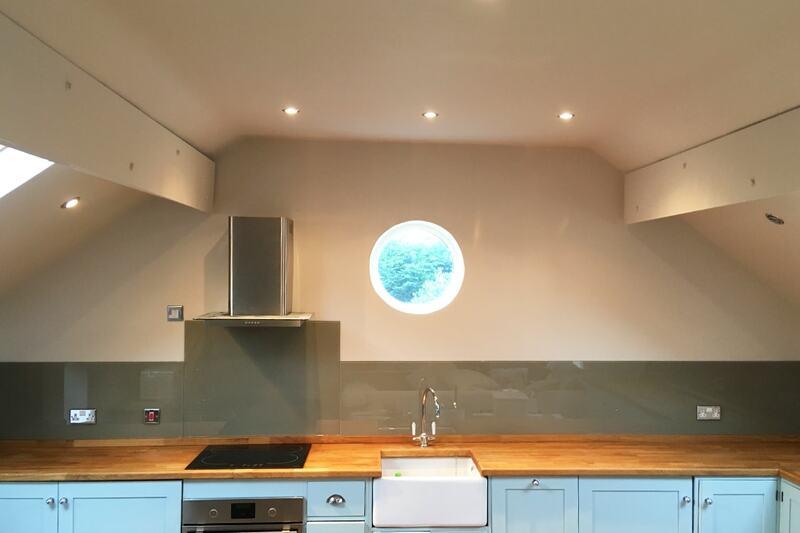 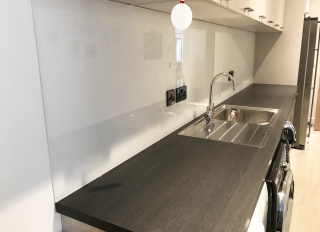 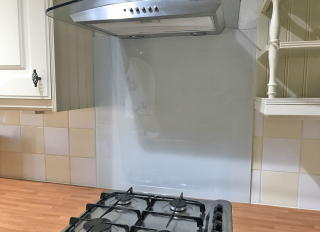 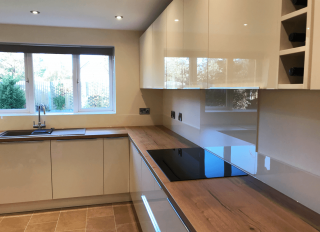 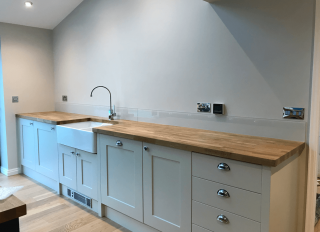 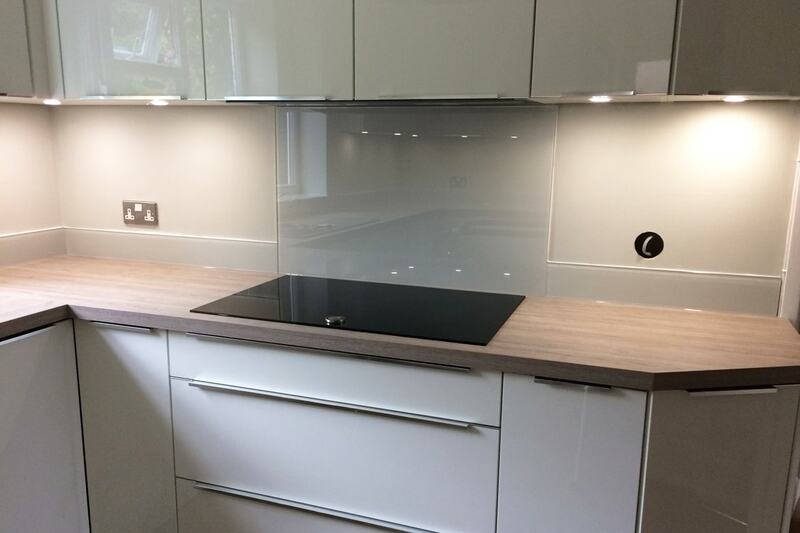 Arctic White toughened glass splashback. 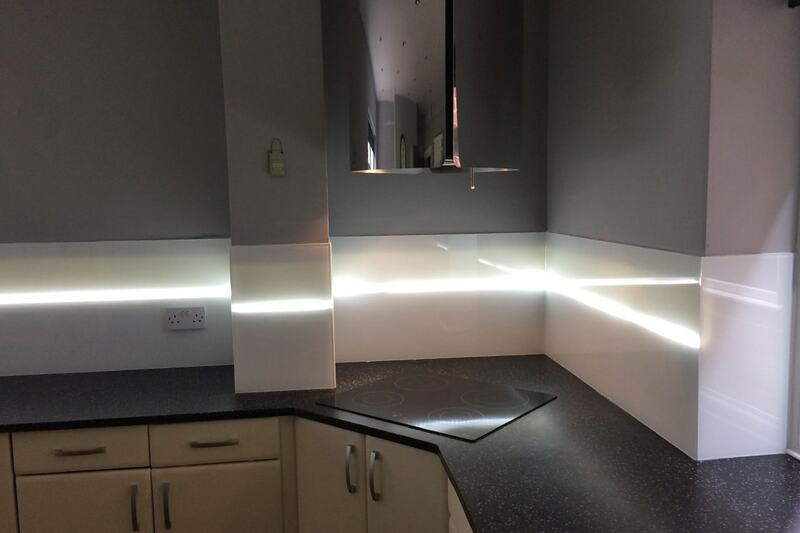 White with Super Effect Prism Green Sparkle toughened glass splashback. 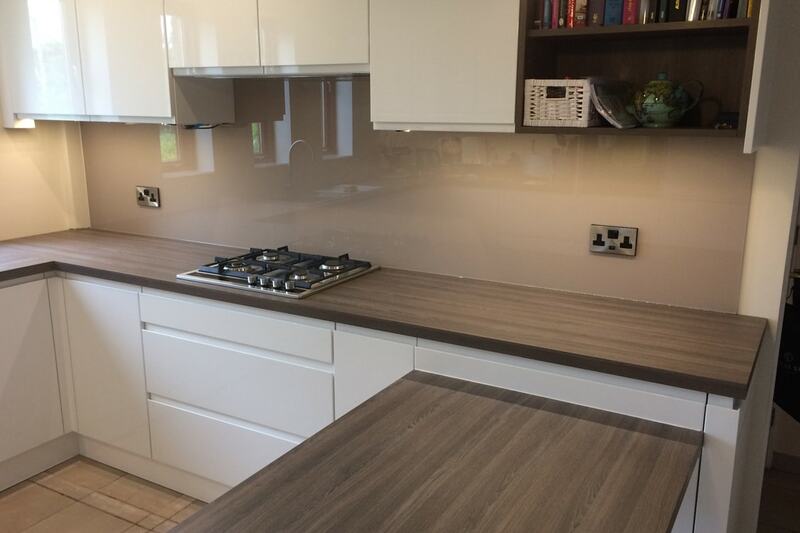 Dusty Porcelain toughened glass splashback that has been colour matched to a paint brand. 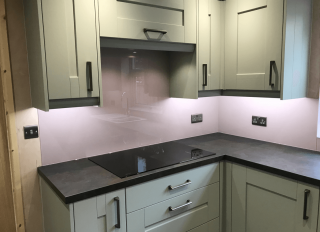 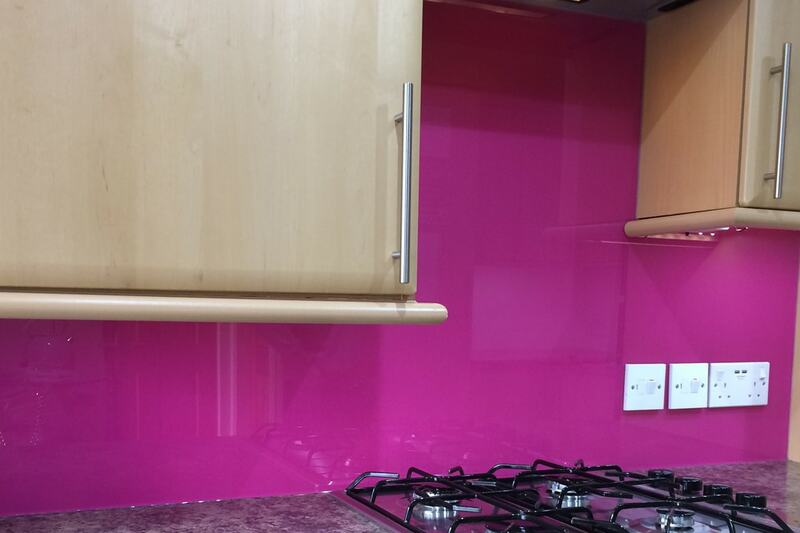 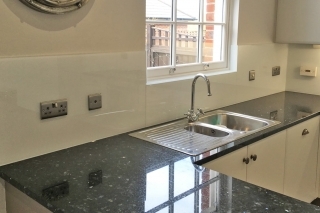 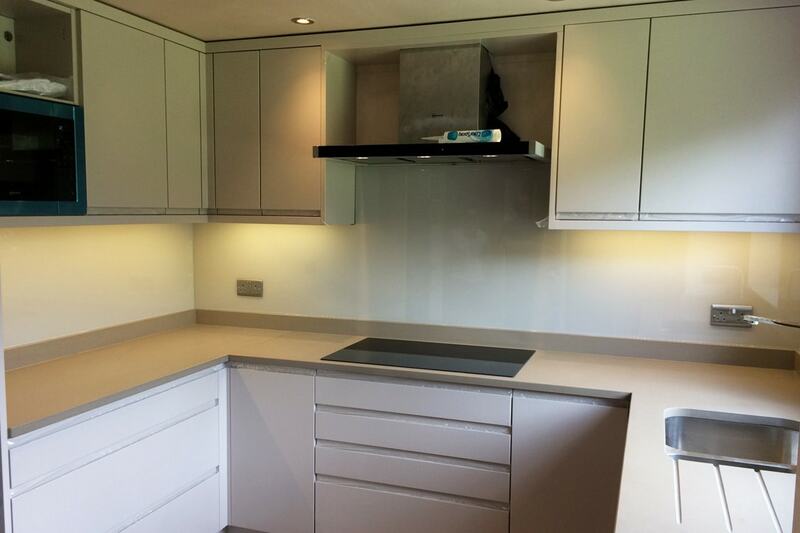 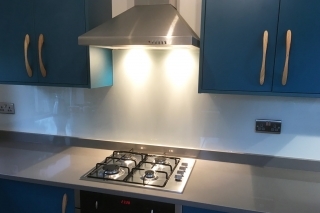 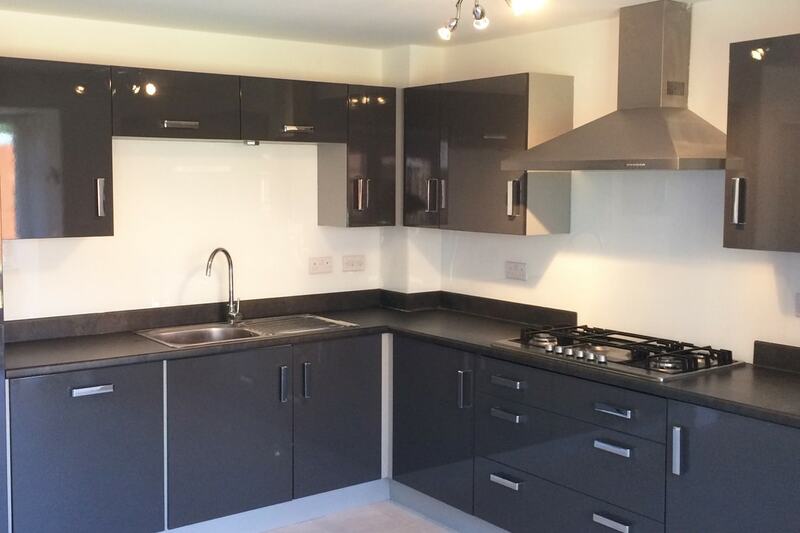 This off white toughened glass splashback has been colour matched to a famous paint brand. 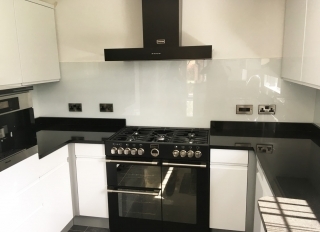 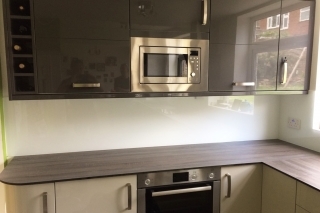 White with Sparkle toughened glass splashback. 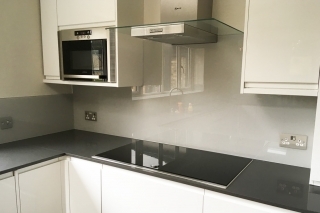 Grey White toughened glass splashback. 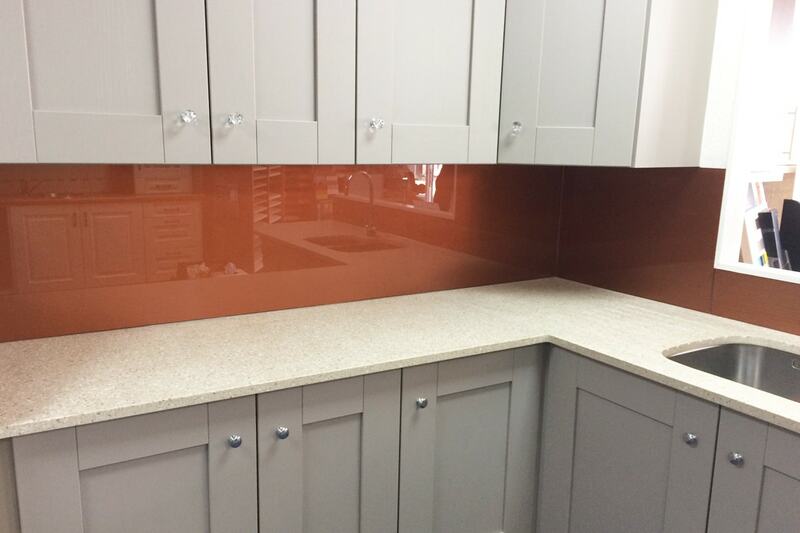 Lunar Eclipse toughened glass splashback. 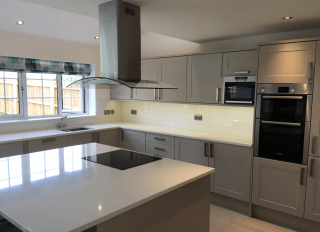 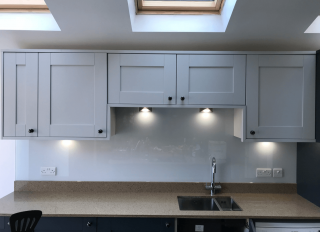 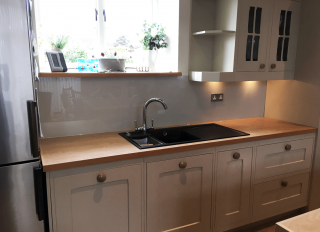 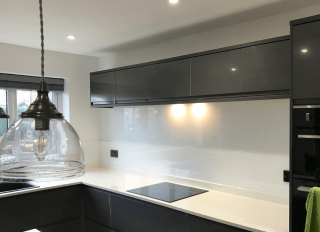 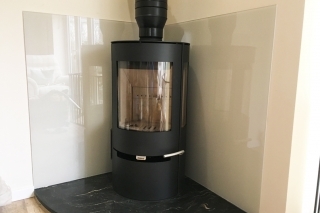 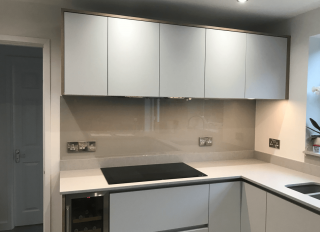 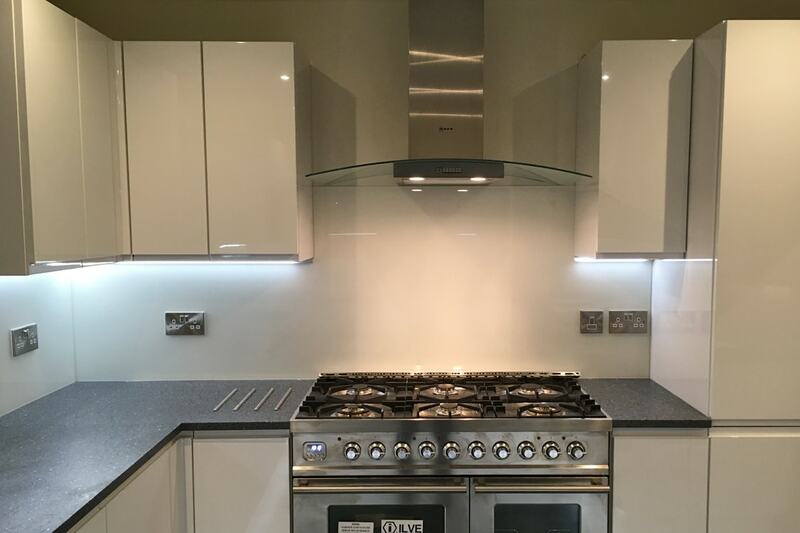 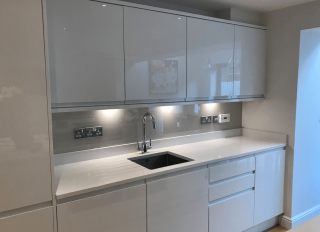 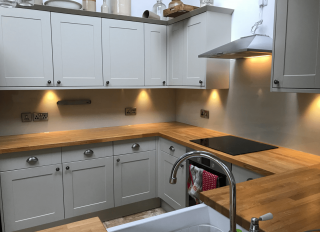 Arctic White with Sparkle toughened glass splashback. 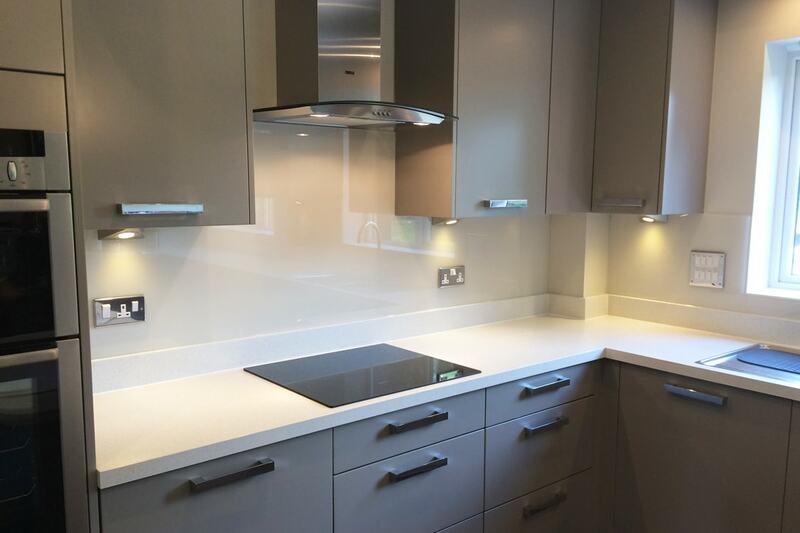 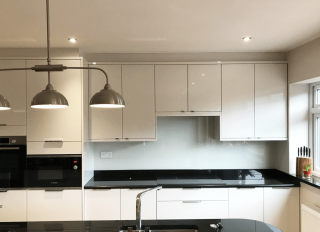 Polar White with Translucent Stripe toughened glass splashback. 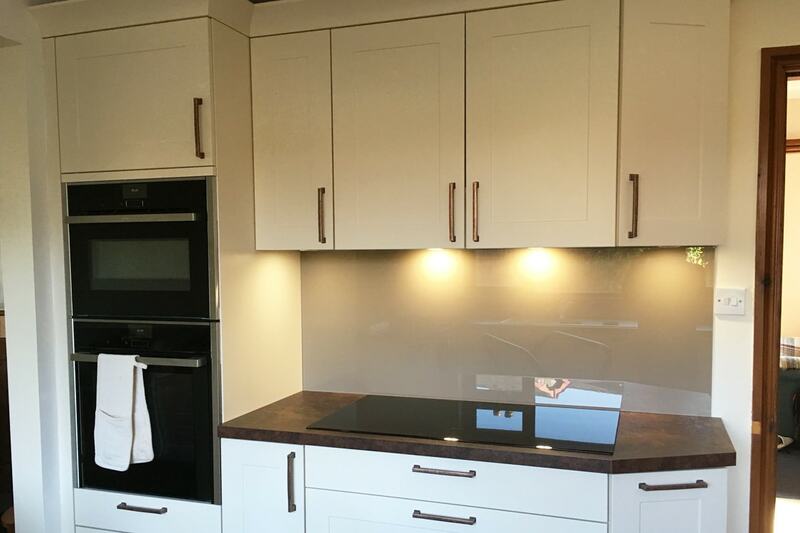 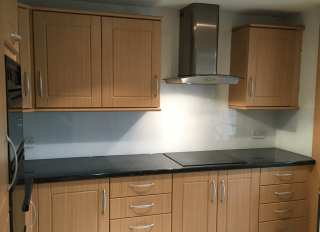 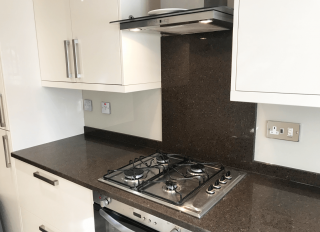 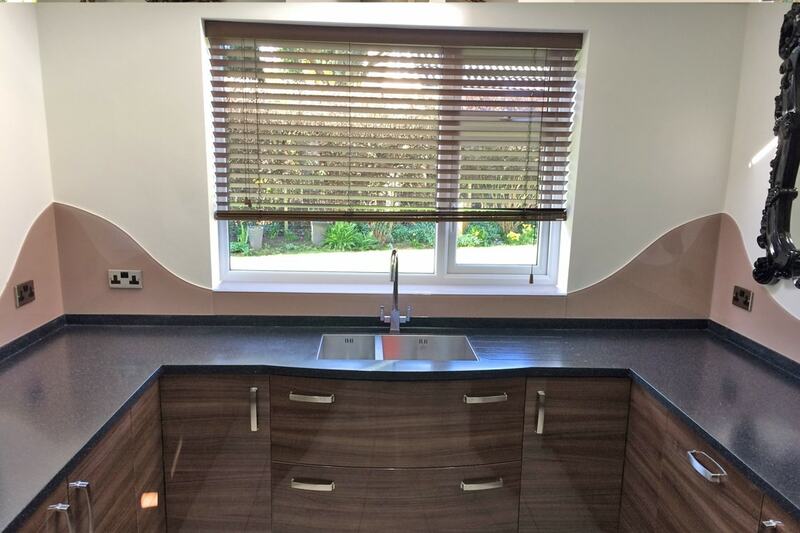 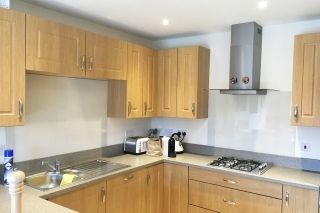 Mocha Brown toughened glass splashback.